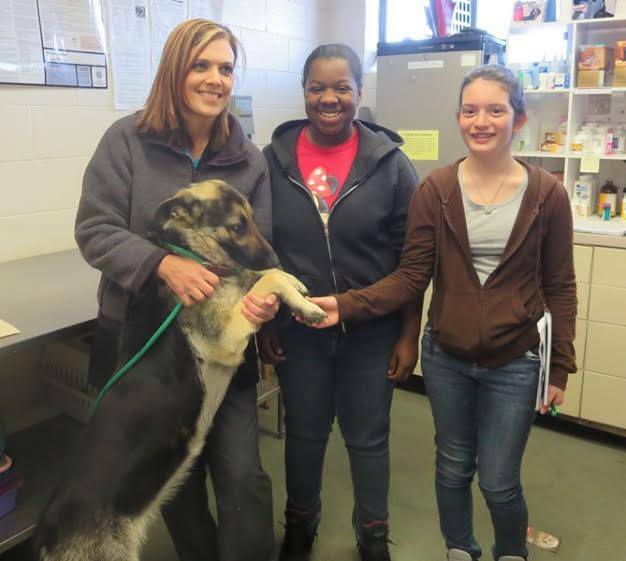 Sycamore Lane Middle School students job shadowed on Friday, March 14, 2014 to learn more about the Humane Society, including saying, “Happy Tails” to this Shepherd girl! — with Allyson Ward and Deborah Pandis at Scotland County Humane Society. 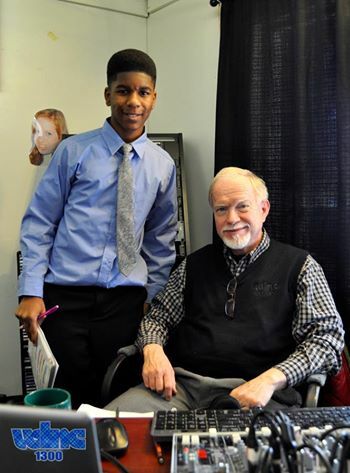 Tyrone Alford job shadowed Station Manager, Gary Gallman on Friday, March 14, 2014. Tyrone is preparing for a career in communications, through the Career and Technical Education Department at Sycamore Lane Middle School.